Features: Liberate the way you use you smartphone! 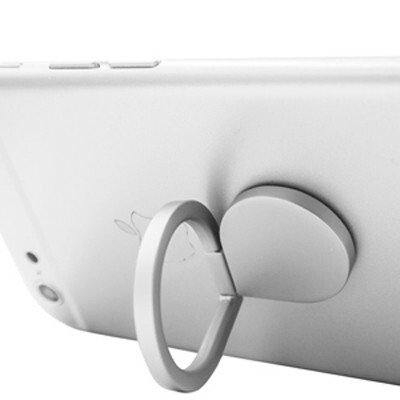 Rotating a full 360 degrees the Ring functions as a kickstand and allows you to comfortably hold your smartphone. Material: Aluminium, Rubber.. Certification: RoHS. Product Colour: Silver. Product Size: 31 x 31 x 2 mm. Print Area: 20 x 20 mm. Print Process: Laser Engrave. Delivery: 2-4 weeks (indent by air) from art approval. Standard Packaging: Poly Bag. Packing Details: 200 pcs per carton, 3.5 Kgs, 27x26x13 cms. Setups: Included.